Norwegian winter, early 20th century. On the island Bastoy, in the fjord of Oslo, a group of young outcast boys live under a sadistic regime. Mental and physical abuse is used by the guards and the superintendent to keep the boys in line. Instead of being educated, the boys are used as cheap manual labour. Aged from 11 to 18, the boys survive by adapting to these terrible conditions. They are rough, they negotiate, and they buy and sell. 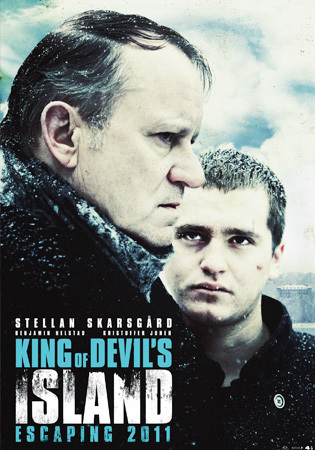 One day Erling, another young outcast, arrives to the island. However, he possesses a different agenda. In self-defence, he beats a military police officer to death. As a result, he will be transferred to an adult prison next spring, leading to his certain death. Time is running out for Erling. He must accomplish the impossible: an escape from Bastoy, The Devil’s Island. Amanda Awards, Norway 2011: Best feature, Best score, Best supporting male actor.